Bhai Sahib’s grandfather was Sardar Deva Singh, who did sewa with SGPC (Shromani Gurudwara Parbhandak Committee) for 14 years and on many occasion give himself for arrest during the Dharam Yudh Morcha, he even was involved in the Jeto Ka Morcha. Khet jo mandi-o surma ab jujhan ko da-o. Sura so pahichani-ai jo larai din ke het. He alone is known as a spiritual hero, who fights in defence of religion. In the Sikh struggle started by Sant Jarnail Singh Ji Bhindranwale for equal rights and justice, many singhs and singhnia fulfilled their panthic responsibilities even if it meant giving shaheedi. Amongst such blessed Sikhs is the name Shaheed Bhai Gurbachan Singh Dogar. Bhai Gurbachan Singh Dogar was born in the year of 1972, from the womb of Bibi Kulwant Kaur in the village of Nosherha Punia in the house of Sardar Manjit Singh. Bhai Sahib’s grandfather was Sardar Deva Singh, who did sewa with SGPC (Shromani Gurudwara Parbhandak Committee) for 14 years and on many occasion give himself for arrest during the Dharam Yudh Morcha, he even was involved in the Jeto Ka Morcha. It was under the guidance of his granddad that Bhai Sahib grew up. Bhai Sahib was put into the local village school but he did not show much interest in studies for that reason he stopped studying after 8th class. After leaving school Bhai Sahib started working at a technical workshop but even here Bhai Sahib did not show any interest because his heart was more into doing the sewa at the Gurudwara. On the 5th day at the technical workshop Bhai Sahib fell extremely ill and no doctor could cure his illness. One day a family friend came to see Bhai Sahib at his home, he told Sardar Manjit Singh to take Bhai Sahib to Sarhali Sahib and go explain Bhai Sahib’s illness to Baba Charan Singh Ji. The next day the whole family took Bhai Sahib to Sarhali Sahib, here the family waited for Baba Charan Singh Ji all day at Sri Guru Hargobind Sahib’s gurudwara, finally at 5pm Baba Charan Singh Ji came. When Bhai Sahib came in front of Baba Ji, Baba Ji said that Bhai Sahib and the whole family should take amrit to which the whole family agreed. Panj Pyare prepared the Amrit and the whole family became a part of the Khalsa panth. After Baba Charan Singh Ji told Bhai Sahib to do sewa at Sarhal Sahib for 2 years. Bhai Sahib fulfilled this request with love as love for sewa was filled in Bhai Sahib from the start. 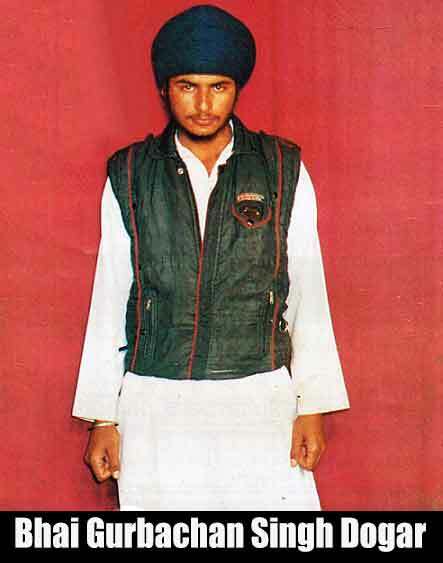 During the years of doing sewa at Sarhali Sahib, Bhai Sahib met the chief of Bhindranwala Tigers Force of Khalistan, Baba Gurbachan Singh Ji Manochahal, listening to the views of Baba Manochahal Bhai Sahib didn’t have to think twice about his panthic responsibilities and immediately joined Bhindranwala Tigers Force of Khalistan Manochahal group and started doing sewa to break the chain of slavery upon the Sikhs. Looking at the brave actions of Bhai Sahib he was given the rank of Area Commander of Bhindranwala Tigers Force of Khalistan of Tarn Taran. During his Jhujaru Singh life Bhai Sahib was involved in many fierce encounters against the Indian security forces, one of these encounters was in Rataul. The Rataul battle between the Singh’s of Guru Gobind Singh Ji and the Indian security forces saw the DIG Ajit Singh killed by the Singh’s, after which the Singh’s escaped. Soon an informant had started leaking information on Bhai Sahib to the police. On the 20th November 1991, Bhai Sahib and his 3 companions were surrounded by the Indian security forces in the village of Sahmne. 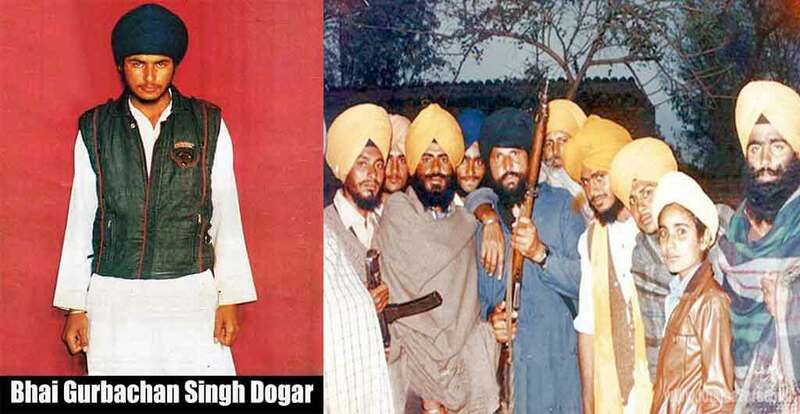 These singhs fought thousands of trained soldiers of Punjab Police, CRPF and BSF for many of hours in which the singhs remained untouchable.The ammunition of the Singh’s was running low and soon the time came when Singh’s never backed down and they attained shaheedi like a true brave lions of Khalistan. After that Baba Gurbachan Singh Ji Manochahal told the Sikh panth that he had lost a valuable soldier of Bhindranwala Tigers Force of Khalistan. Next post Petition To U.K. Govt. | Sikh’s are Not as Hindu | Which labels in CONDEMN Art 25(b) Sikhs as Hindus. 10,000 Signatures Required.